Carlo Striulli was born in Italy. 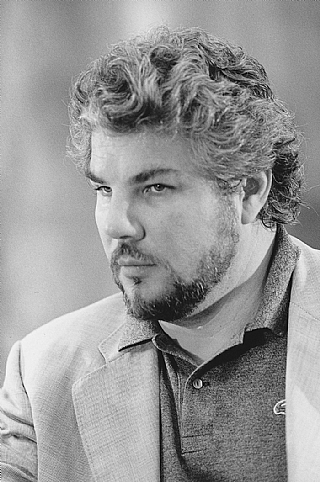 His repertoire includes numerous roles many of which he has sung at the Israeli Opera including Raimondo in Lucia di Lammermoor (Donizetti), Ferrando in Il trovatore, the Grand Priest of Baal in Nabucco, Wrum in Luisa Miller, Ramfis and the King in Aida, Grenvil in La traviata (Verdi), Angelotti in Tosca, Colline in La boheme (Puccini), Zuniga in Carmen (Bizet) and many others. He has also performed at the opera houses of Florence, Rome, Genova, Naples, Salerno, Venice, Turin, Palermo, Tokyo, Frankfurt, Zurich, Bilbao, Paris and many others including the Arena di Verona and La Scala in Milan. He appears on many live CD and DVD opera recordings.